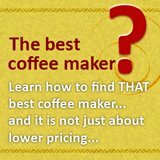 How difficult is using a coffee bean grinder? Most of the grinders come with instruction manual and most if not all requires you to just push a few buttons. 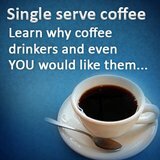 So, what do we mean by using the coffee grinder correctly? Well, it is about the entire process of using the coffee bean grinder and not just using the appliance. 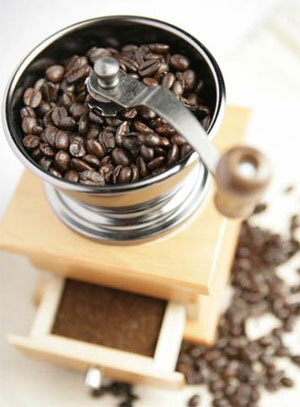 Now, the reason why you used a coffee grinder is because of their ability to give you the freshest brew. The grinding break open the coffee oil that is inside the beans and this when served immediately would ensure a aromatic and fresh cup of coffee. But, the flipside is, if the grounds are left for even a day, it would lose much of its flavor. So, the first thing that one would need to take note of when using a coffee bean grinder is to grind what is required and consume it immediately. If you are planning to store it, unless you have air-tight and vacuum storage method, otherwise it is better not to do so. The next question would be how much should you grind? 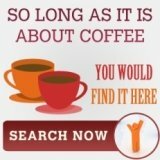 Let say if you are going to brew a pot of coffee and it would prepare about 12 ounces of coffee then you would need about 4 heaping tablespoons of whole beans. The ratio is 2 tablespoons (heap) for 6 ounce of water. The next thing would be the preparation method. 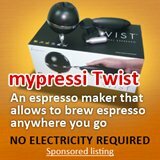 If you are using espresso machine or those programmable coffee maker, then this might not be applicable. But, if you are going to it manually, then you might want to consider using a permanent filter especially those gold tone filter. Most of us that brew coffee using filter drip method would definitely go with paper filters. But, these filters other than creating an aftertaste would also absorb the coffee oil that you want with the grinding process. So, if you have spend extra money and time on grinding the beans, use a gold tone filter to ensure that you get the best from the coffee grounds. The last thing that you would need to know about freshly ground coffee is its delicate nature. so, if you brew it too long, it would become bitter, of course too little time and the coffee would be dilute. This is more important than those grounds that are a few days old, because most people would tend to brew over time resulting in a bitter brew. It would probably take a few testing to know the exact timing, but it is well worth it.